Solid Canadian Pine. Fully assembled crate. Use for storage or crafting. Can be stained or painted. The 7-inch Closet Culture Mesh Basket can be installed to pull out or to sit on a shelf. When installed in the basket surround (sold separately), the basket handle allows for easy pullout access to clothes or linens. Wood fascia (sold separately) can be attached to create an upscale look to the closet. Honey-Can-Do SFTZ01764 4-Pack Folding Storage Cube, Red. Designed to hold books, toys, games, and anything else you want to stash away. The durable polyester construction, reinforced seams, and carrying handles on this storage cube will stand up to it all! The contemporary design provides convenient and attractive storage space for any decor. When not in use, these cubes can fold flat for easy storing. Great for car trunks, kid's rooms, closets, shelving units, and more! Here is a great fresh, fun, and well designed storage option for the bedroom. These bedside storage caddies are great for storing your magazines, cell phone or tablet, and glasses. No need to hunt around the room anymore. With their many colour options, these pieces will add a zany touch and blend in amazingly with your decor. 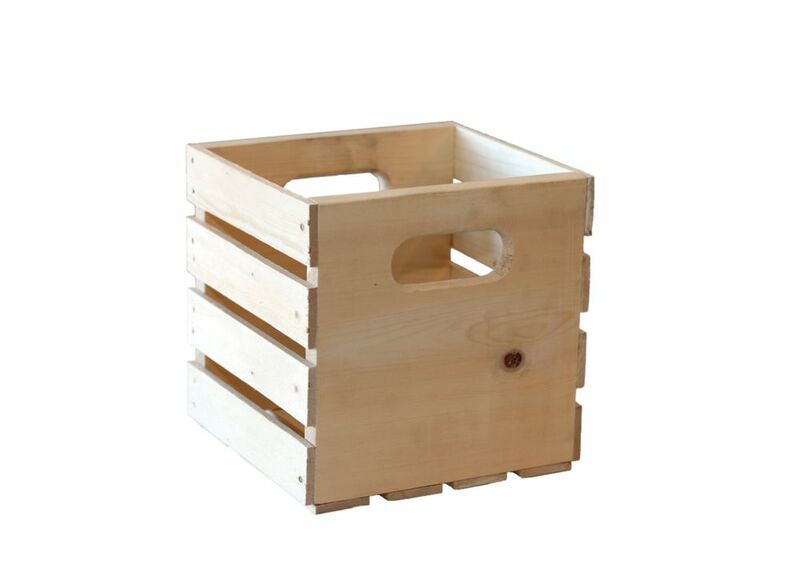 Cube Crate Solid Canadian Pine. Fully assembled crate. Use for storage or crafting. Can be stained or painted.